The cream of Mallorca’s shopping is in the capital Palma, where you’ll find stores and boutiques selling stylish clothes and leather goods: everything from designer labels to the latest high street fashion – including well-known Spanish brands Zara (fashions and home), Massimo Dutti, Custo, Desigual, H & M and Uterqüe. The most prestigious shopping streets in the city are Paseo del Borne and Avenida Jaime III, but explore the adjoining narrow streets and alleys and you’ll find tempting boutiques like Michal Negin, Angel Schlesser, Pinko and top multi-brand boutique – Kidama. Find luxury goods from Cartier in their stores in Palma’s Avenida Jaime III as well as the department store El Corte Inglés. Mallorca is blessed with an array of high quality designed and made products from some very talented local designers. Jewellery designers Isabel Guarch and Alma Lopez are both popular names with Spanish royality and national celebrities. World class shoe designers – Camper and Lottusse both hail from Mallorca, and the best in bespoke men’s shoe wear can be found at Monge who will measure and make your footwear to perfection. 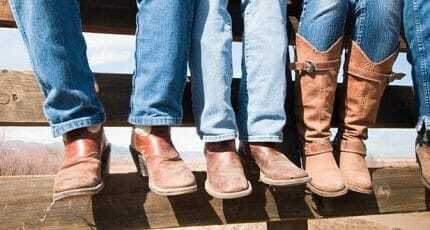 The best cowboy boots in the world are made on Mallorca – Tony Mora cowboy boots are worn by celebrities and fashionistas alike and are manufactured in a small town in the center of the island, called Alaró. The wine industry on the island is florishing with more than 70 bodegas and each year this number is growing with many vineyards reporting that popular Mallorcan wines sell out within months of going on the market. In recent years and possibly in support of the booming wine industry their are many new food products /brands entering gourmet shops – almonds (produced in many differnt formats) and sea salt harvested locally. 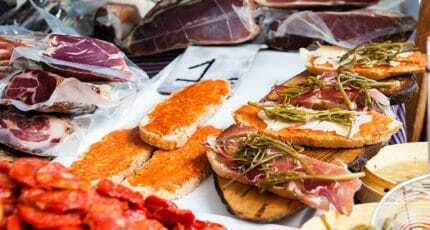 We at abcMallorca are strong supports of buying local to support Mallorcan industries so please when you have the opportunity – buy locally produced products and by so doing, you are supporting employment, agriculture and the economy of Mallorca – what could be more worthy of your support? The famous Mallorcan pearls are a sought after commodity and their fame stretching world-wide. Pearls are a highly prized authentic gift from Mallorca with traditional brands such as Majorica, Orquidea and in more recent years Helen Cummins has launched a collection of pearls from Mallorca with a modern twist. Shopping at a local market, rather than driving to an out-of-town supermarket, is just one way to improve your green credentials. For inspiration about home décor and ideas for more creative living, visit East 26 in Santanyí, a renovated manor house that is now home to interior design shops with a range of decorative objects and furniture, a photography gallery, and a restaurant for when you get hungry after all that shopping. Whether you shop online or in person, you’ll want to compare prices; the long winter and summer sales, with their generous discounts, are your chance to pick up some real bargains. 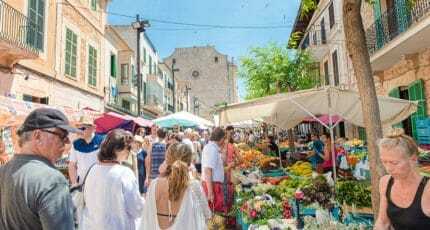 Outside Palma, most holiday resorts have shops selling souvenirs and typical holiday items – rarely manufactured in Mallorca though. 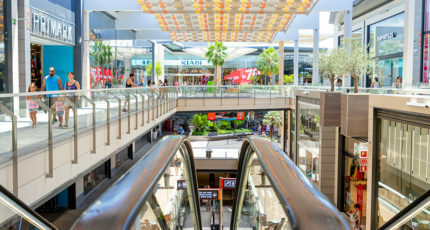 Inland, the large towns of Manacor and Inca (both a train ride from Palma) have decent-sized shopping centres: Manacor is famous for pearls; Inca for its leather goods, available at factory prices in many outlets.